You will first need to connect to a payment processor. While Armatic will manage the payment processing rules and schedule, the connected payment processor will process the payment and store all payment information (Armatic does not save any payment information on our servers). Account level automatic payments will create a schedule to automatically charge open invoices for an account. Invoices for an account that are currently in a "Payment Plan" will be excluded from the automatic payment rules. 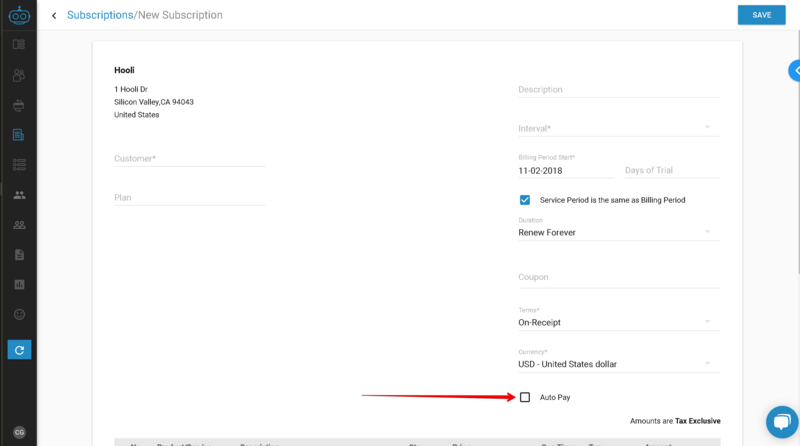 To create an automatic payment rule for a customer, navigate to the customer detail page, then select the edit icon next to "Auto Pay"
Click "Save" to finish setting up the rule. The automatic payment schedule will run in accordance with the schedule you created. 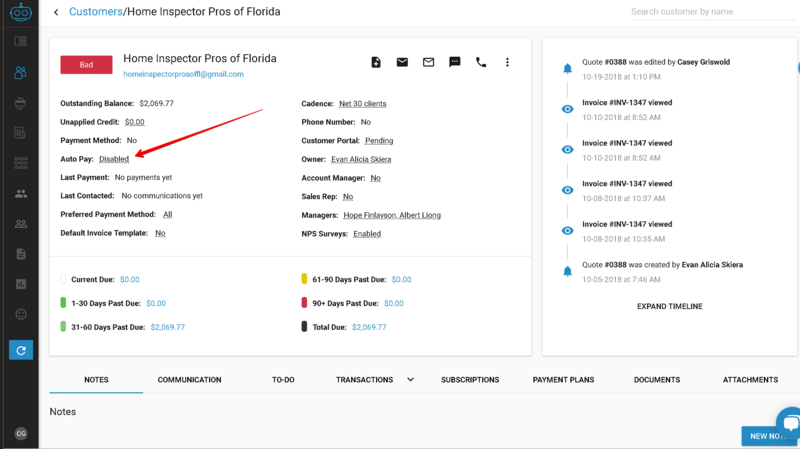 When running, the auto pay system will check every 20 min to see if any invoices match the auto payment rules. i.e. if you set an interval to "Daily" it would check every 20 min for invoices to charge. 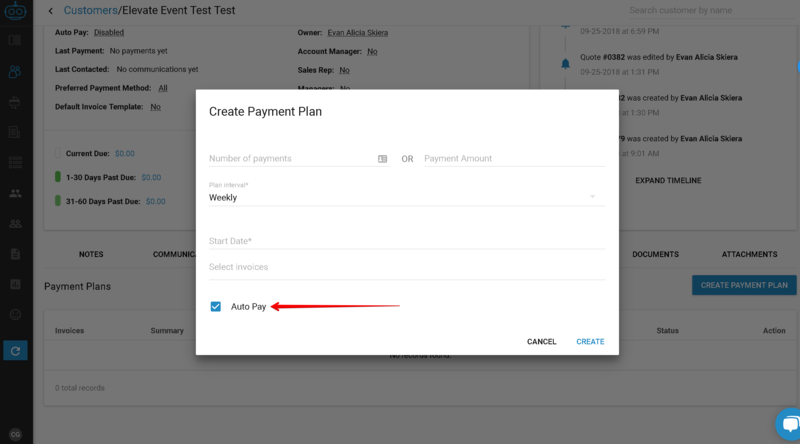 To automatically process payments in accordance with a payment plan schedule, simply select the "Auto Pay" check box in the create Payment Plan creation form. Learn more about Payment Plans here. 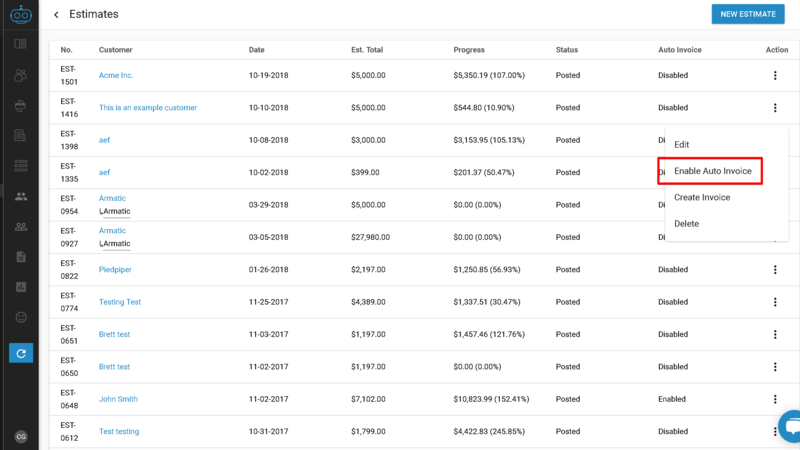 Armatic Estimates, allow you to issue invoices based on milestones and track the progress against the original estimate. 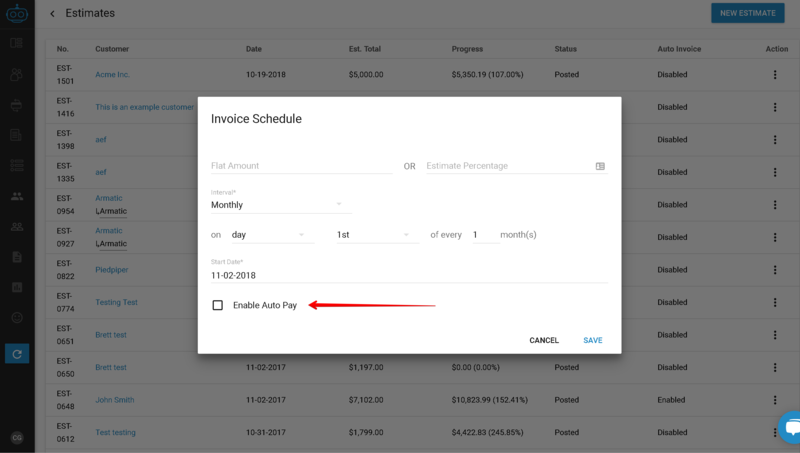 Once an estimate has been created, you can enable an automatic creation schedule, and elect to have invoices created from this schedule automatically charged. To do so, select the menu next to the estimate, then "Enable Auto Invoice" Create new estimates here. 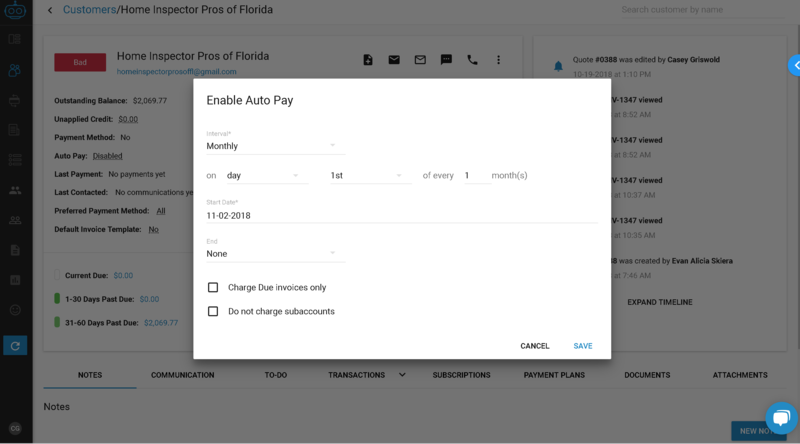 Select the auto invoice schedule and check the "Auto Pay" check box to have invoices automatically charged once created.